Finding a website designer who can accomplish your goals on the Internet can be a daunting task. At Website Solutions we break down the process, step by step, so you will clearly understand what it takes to be successful on the web. Building a professional website requires much more than technical proficiency in writing code. Our designers and staff are dedicated professionals specializing in graphic design, search engine optimization and search engine marketing. At your request, one of our website designers will be happy to provide a free consultation. According to your requirements, our designer's will outline a personalized implementation plan for your company's presence on the Internet. Your web site will be a creative enterprise in which our experienced professionals will assist you in analyzing your marketing goals, the content of your website, as well as media and graphic design. We can use your logo, or create one for you. We will use your images and resize them, graphically enhance them, or alter them if required. If you are unable to provide your own images we have an on staff photographer that is able to take the photographs for you. As in all thingsâ€¦ "location, location, location!" Once your website is built, we will host it on one of our Linux Apache servers, providing a home for your company on the World Wide Web. 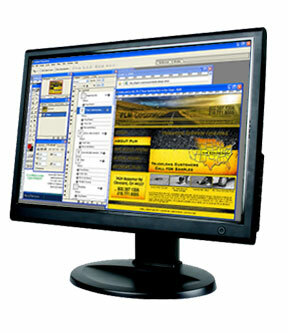 Website Solutions has been a leading website design firm in Ohio since 1997. We not only service local businesses but also have clients throughout the United States. All of our website design work is done in-house, we do not outsource to other countries.